HyperVAP is an automated evaporative concentrator that efficiently evaporates organic solvents by injecting inert gas into a sample under constant temperature conditions. The HyperVAP HV-300 provides sample concentration that meets both efficiency and convenience based on semi-helical gas flow. Inert gas is incorporated through the nozzle inside the lid and creates semi-helical gas flow in the sample tube to maximize the surface area for efficient vaporization. Evaporated vapor is evacuated by a fan on the back of the instrument. To speed up evaporation, heat can be applied from the water-bath in which the sample tubes are immersed. 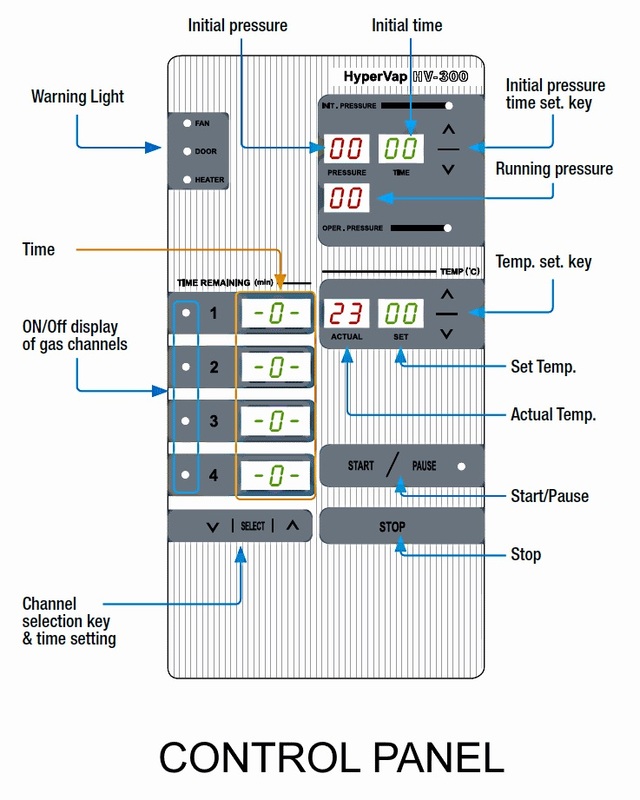 The initial gas (air) flow can be controlled separately to avoid abrupt bumping of samples and the time settings of four nozzle channels can be managed individually to afford simultaneous operation of diverse solvents in different amounts. The HV-300 accommodates a maximum of 32 samples by changing the nozzle and tube racks properly, depending on the volume of samples. The maximum sample volume of 300 mL can be concentrated in the HV-300. 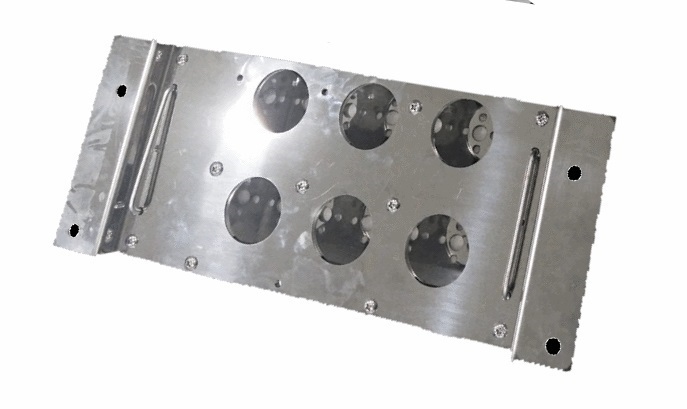 The nozzle and tube rack can be customized according to various tube sizes as required. The HV-300 provides excellent recovery rates and time saving with minimal handling and the convenience of clear visibility and monitor lights. 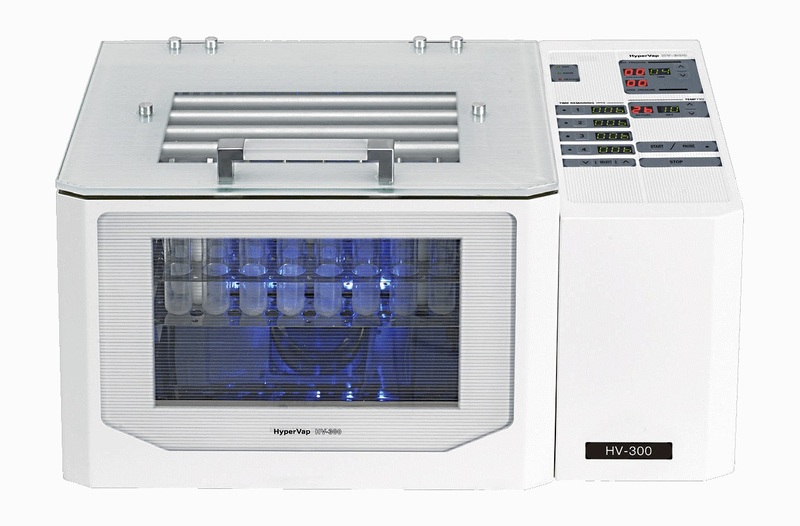 HyperVAP technology is widely used to evaporate solvents in common applications such as after solid phase extraction clean-up for pharma-biotech compounds, clinical samples, environmental samples, forensic and crime samples, abused drug samples, food and beverage analysis and agrochemical samples.